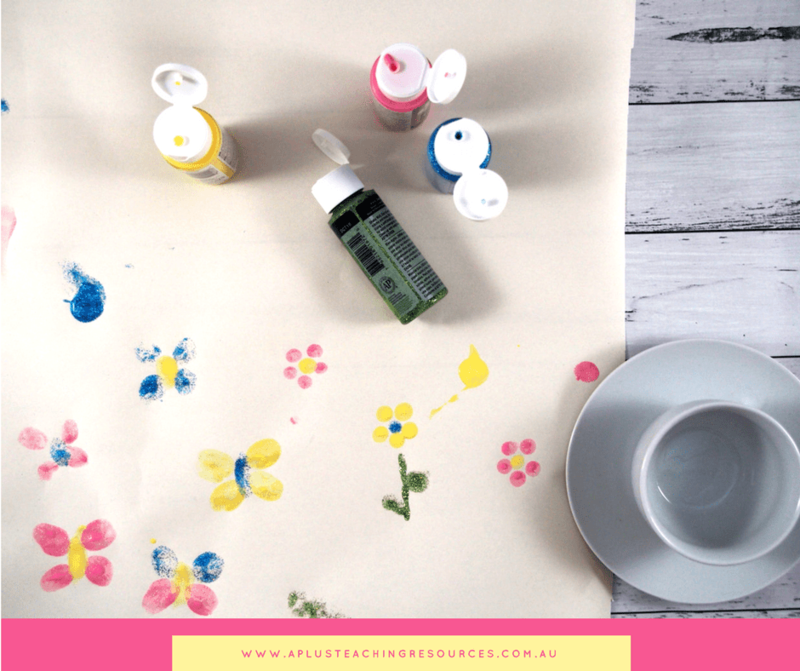 We always plan Mother’s Day thematic craft activities for kids at school so that the students can make something special to take home. 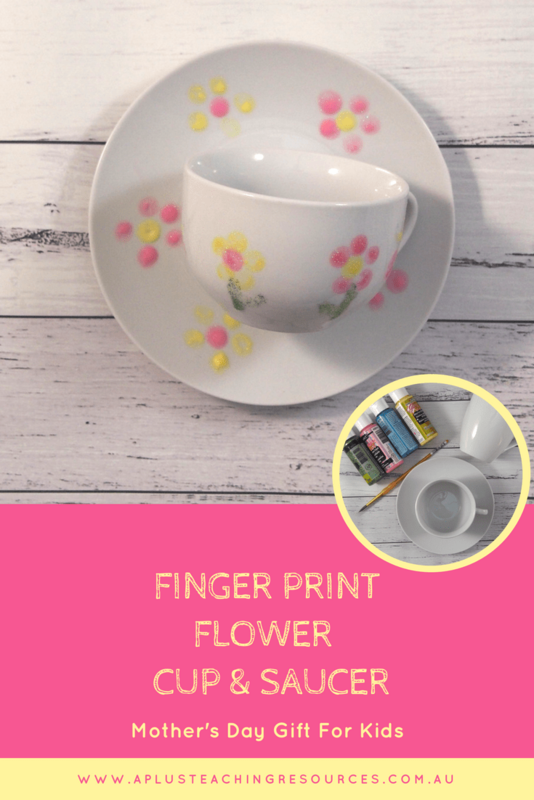 Mums everywhere will treasure this simple to make fingerprint flower cup with saucer gift and this matching cute teapot shaped Mother’s Day card. 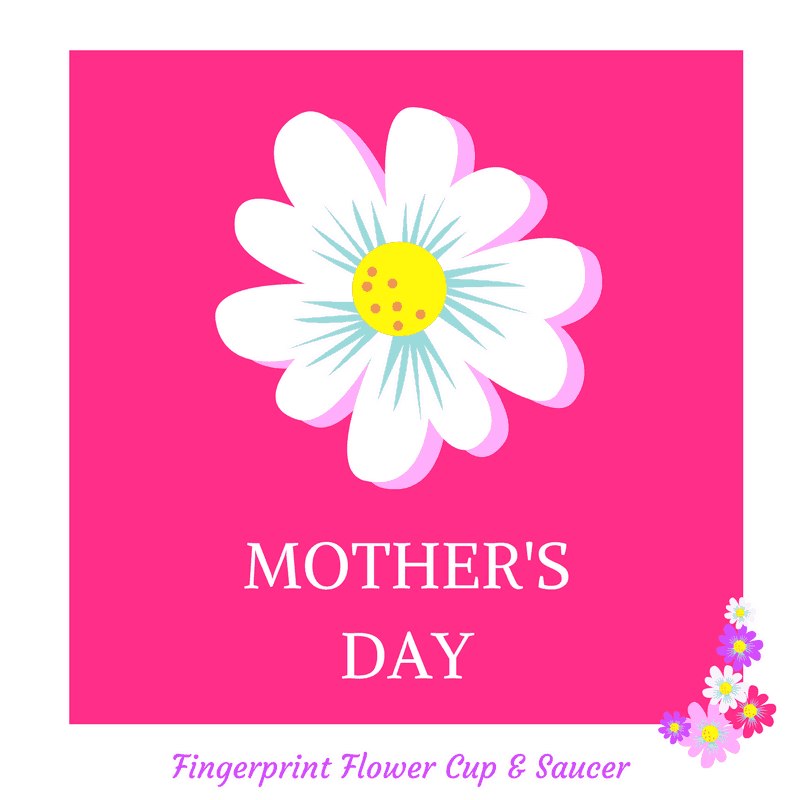 Download your Free printable for the Mother’s Day card and follow the tutorial for the Fingerprint Flower cup with saucer. 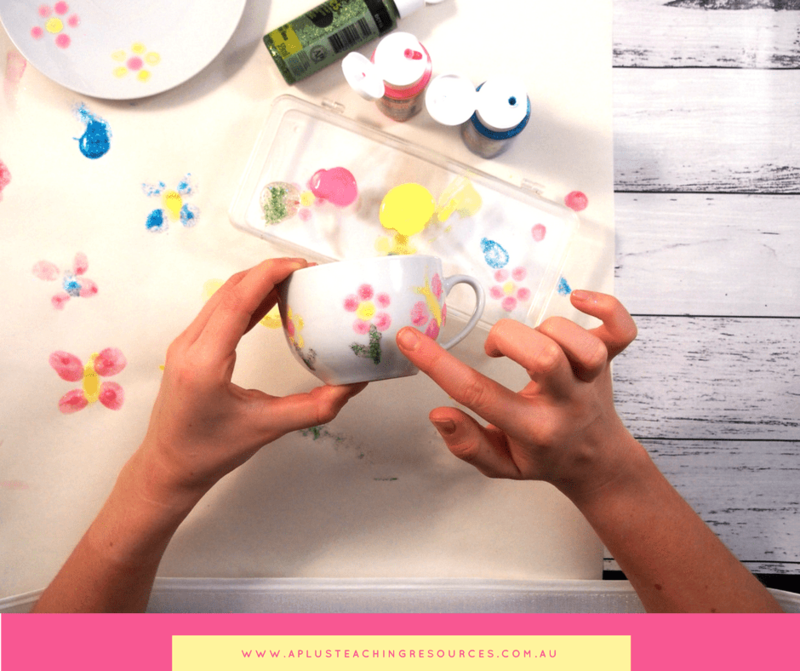 These easy to make Mother’s Day gifts will make every Mum feel special! 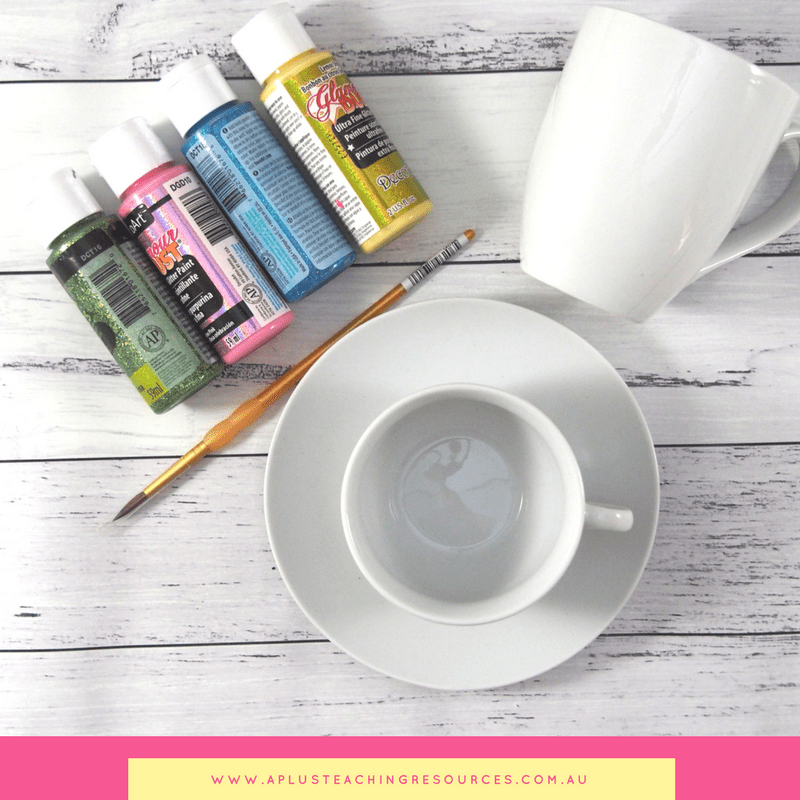 All you need are a few supplies to make these fingerprint flower cups or mugs. You can find plain white cups or mugs at IKEA, Charity shops or dollar stores. These mugs would also be great to give for Father’s Day or for a teacher gift. On a piece of scrap paper try your colour combinations and practice printing your design. We used damp kitchen paper to clean up. 2. 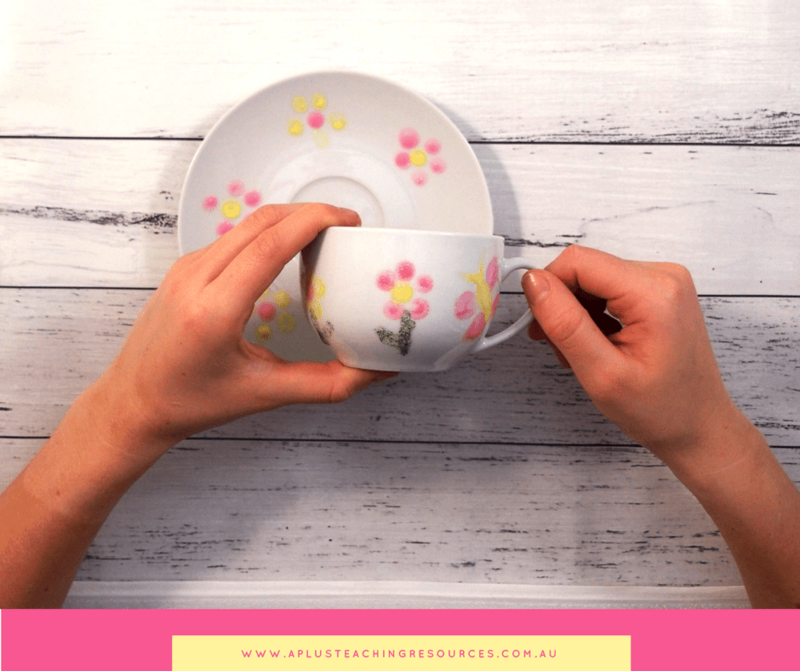 Copy the design onto the cup, cleaning fingers in between colours. 3. Use a paint brush to add stem and antennae if needed. 4. Allow the paint to dry & bake in a low oven according to paint instructions. 5. For extra protection, use this sealer which will help keep the paint from coming off. It’s safe for top rack dishwasher use however to be extra careful we would recommend hand washing these mugs. 6. 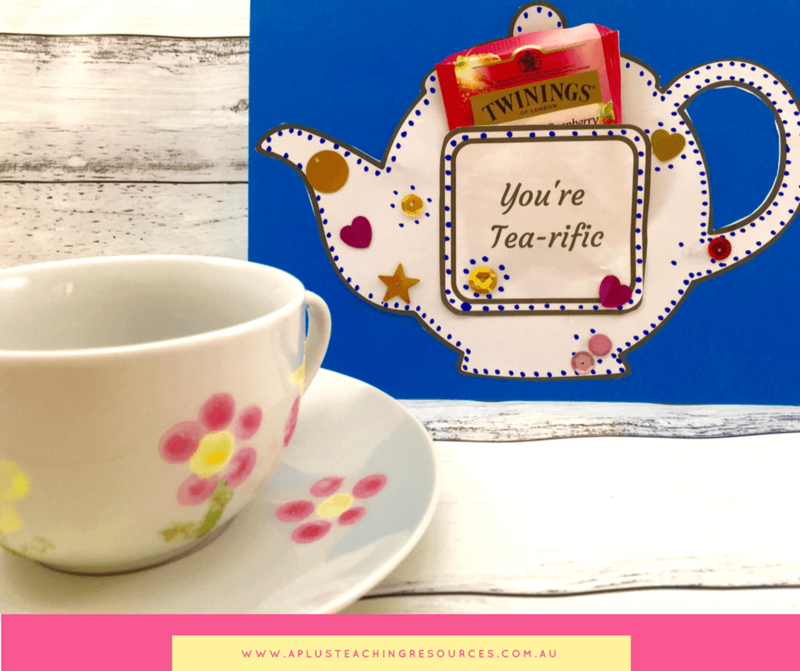 Download this easy tea pot Craft for kids FREE Printable to complete your Mother’s Day gift. I LOVE this idea and the teapot. Was looking for something for my year 1’s and this is it! Hi Cheryl, Yes it is super cute, cheap not too much cutting or prepping! 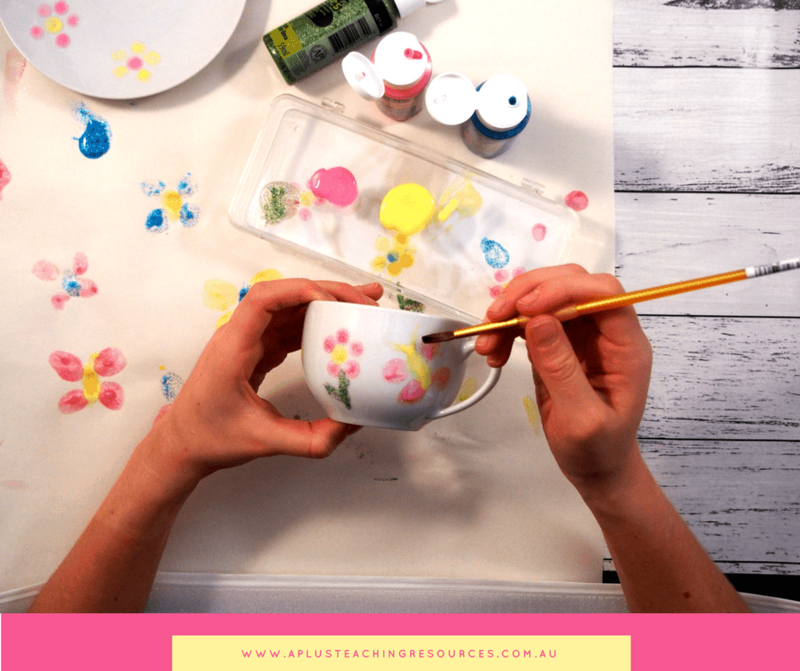 A Teacher’s dream craftivity! Cool video, great idea, where can I buy all the stuff? The cups & saucers were from the dollar shop. But the paints we sooo hard to find!! I couldn’t get acrylic enamel anywhere so i had to get them from Amazon. There is a link in the post above .